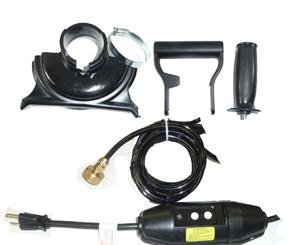 The newly improved Kawaii electric stone polisher model WEP325 is a true wet polisher designed more for professionals. It features variable speed from 900 -2800 RPM more suitable for polishing jobs on granite and concrete. Two-step reduce gear, more torque with constant speed provide a more consistent polish. 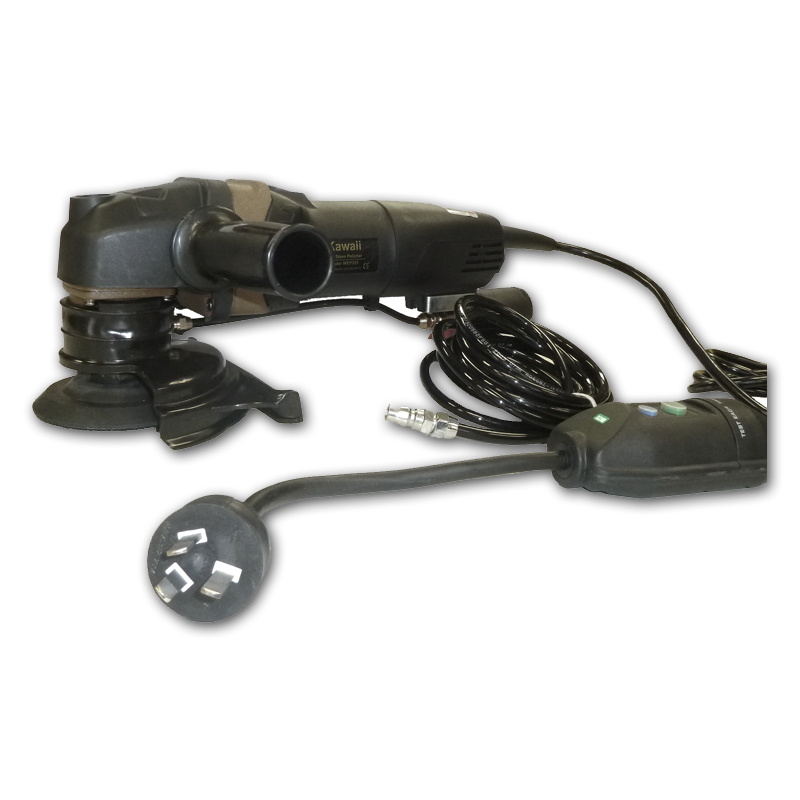 It has Ground Fault Circuit Interrupter for safety protection, lock on switch, center water fed, 10 feet water hose with connector to garden water, and splash guard. It has double insolation for added safety. The stone polisher can be used for edge profiling with diamond hand profilers, wet polishing of stone and concrete with diamond polishing pads. Kawaii WEP325 can only be used for polishing and light grinding. Heavy grinding and cutting with saw blades can damage the gear. Warranty: 30 day money back guarantee; 3 months free repair or exchange; 6 months additional 5% discount on new purchases (on top of other discounts you may qualify).